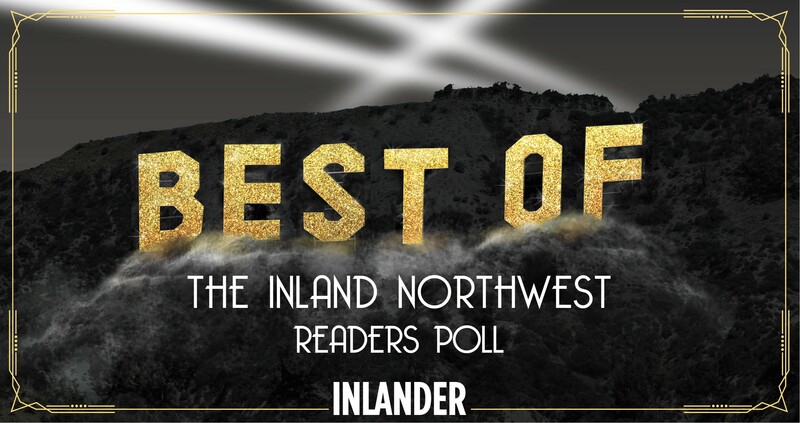 Voting for the 23rd annual Best of the Inland Northwest Readers Poll is live as of now, so jump online or grab a copy of this week's print edition to start filling out your faves! Then make sure to grab our March 24 issue to find out all the winners and check out our editorial coverage of the results. One thing we strive to accomplish through these annual awards is recognizing businesses, people and food that are LOCAL. There are plenty of options out there, and if you need some help just take a peruse through the Inlander's online archives (including 2015 and 2014's Best Of results), or perhaps even our 2015-16 Annual Manual guide to the region. Classic categories like best burger, best bartender, best sandwiches and best radio personalities are back, but we're also introducing several that are new, like best budtender, best local IPA and, in the always interesting wildcard category, "best slogan to launch Mayor Condon's public image makeover" campaign. To vote online, head to bestof.inlander.com and either sign up using your Facebook or create a voting profile using your name and email. We have to know your name (because, cheating and bots), and we can only accept one ballot per person. We also can't accept ballots with less than 40 votes, and will reject any that don't follow these rules. (So no, you can't vote "my mom" in all the categories you don't have responses for...) If you can't finish online voting in one session, your responses are saved until you can get back online, so there's no need to rush. Remember, this is a readers poll. When we see people complaining that the same things win year after year, or that chain businesses are beating out locals, we have no answer other than it's representative of the voice of the people. We take pride that Best Of is truly about what YOU, the readers, think, and that's why this issue is always so fun for us to create and for the community to flip through.